Working online can be hard … darned hard. None of us are prepared for the confusion, isolation and disappointment faced when working online. Especially if you are new to working online. This is why many people seek a mentor, or coach, to help them along the way. The instinct to reach out for help is the right one. After all, why reinvent the wheel when you can work with someone who has “been there and done that” and can help guide you. But finding the right person is not always easy. I’d like to share five ways you can find the right mentor, no matter your current level of experience. I want to share with you five ways to find the right mentor. Let's be honest, working and succeeding online is hard. It's too hard for you to go it alone. The isolation, frustration, and confusion, can be overwhelming. Am I doing the things that I am doing the right way? What should I be doing anyway? People sometimes just don't know what to do. The fact is, nothing in our offline life prepared us for the confusion, isolation and technical challenges of working online. This is why so many people seek out mentors, which is smart. A mentor is a coach who can help you save time, help you save money and make progress faster. Can a mentor help you achieve more? Click the link to discover 5 ways to choose the RIGHT mentor for your needs. Those are all very good things, but how can you find the right mentor for you? I believe there are five keys that will help you find the right person for you. Number one, their advice needs to be based on personal, actual experience. This is a must, that's why I made it number one. You don't want to be mentored by someone who has an idea of what might work, or took a course, or read a book, and now they're just restating what they heard, and reselling it to you as their own advice. Not long ago I spoke to a guy who wanted to promote a website that taught a particular system and I said to him "Have you made money with this system, have you actually done this?" "Oh no, this is just an idea of what I think will work." He was gonna charge people money for an idea he had of what might work! I respectfully declined to work with him. A mentor with experience can point to their own success. They can prove they've done what they teach and they have a reputation to back it up. You simply must have a way to get your questions answered. Actually, you deserve to have your individual questions answered, even if they are "newbie" questions. No matter how good your mentor is, no matter how good his or her system, or school, or course, or academy is, you will have questions that are specific to your situation. That's why every mentoring relationship needs to include a way for you to get your specific questions answered. Not sending you to a knowledge base, not asking you to buy a product, but answering your question about your situation. 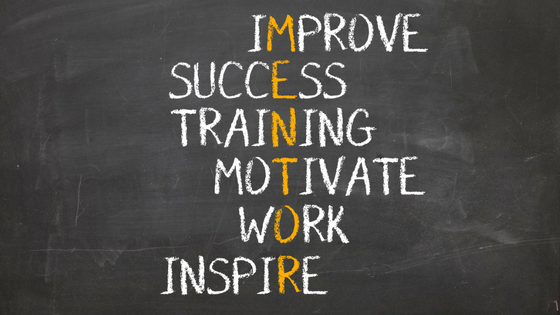 A mentoring relationship that succeeds offers a comprehensive solution. Have you ever heard the saying that when all you have is a hammer, every problem looks like a nail? Some mentors are like that. All they know is pay per click or some kind of paid advertising or blogging. They know that and they know it deeply, and that's a good thing. But every answer they give you is to buy more pay per click or blog more often. That doesn't always work for every person. While it's hard to find someone with well-rounded experience, because the internet and working online and doing business online, is still relatively new, it can be done. It is well worth it to find the right person. Someone with deep experience across the board. You want to work with someone who stays current. What you really want is someone who is ahead of the curve, but that can be hard to find. The last thing you want is to a mentor and pay them money, and then find out they're not as knowledgeable about what's working today. While no one can know everything, your mentor should be familiar with what's working now. And, you should be able to see by the way they conduct their own business that they are using best practices and up to date methods. If they are not, and you want to work with them, they should be willing to test a new idea for you (AT THE MENTOR'S EXPENSE) and report back. After all, they have tools, resources and experience you don't have. They should be willing to apply those on your behalf and report back. You might not find a person that absolutely knows everything about everything, but it is reasonable to find somebody to work with who is very familiar with what's working now and has current knowledge. Your objective is to go from where you are now to where you want to be in the least amount of time. That's going to take working with a person who can see where you are now, understand that, and help you make that proven path forward. If your mentor can't provide a specific action plan based on where you are now then you may have the wrong person. An effective mentor will factor in what you need. What you are willing to learn and do. They will make specific suggestions about how his or her knowledge and resources can be made to fit your needs. After all, THIS IS ABOUT YOU, not about them. Do you really need a mentor to succeed online? Only you can know. If you are not achieving your goals now, or you are confused about your options and what to do next, one session with the right mentor can put you on the right track. If you are achieving real results now, and are happy with those results, a mentor can help you scale up your success more quickly. If you are achieving on a higher level but then get stuck (many people get stuck at the $500K mark and the $3million mark) the right mentor can help you break through the barrier. There is no doubt about it ... finding the right mentor can change everything. Your questions get actual answers. You have more peace of mind. You spend less money because you avoid trial and error. You see progress each month. Now those are beautiful things indeed. There are a few things that you said that jumped out at me. For example, you said that a good mentor wouldn’t send you to a knowledge base and that the mentor would provide a specific action plan based on where you are now. You mentioned that a person’s age and budget should be factored in before a suggestion is made. That is pretty powerful stuff! I want you to know that I appreciate these deep insights because there are mentors who will send you to a knowledge base and change their minds on decisions you’ve acted on after following their advice which might include spending money. In this instance, one can end up spending more money –not less. Thanks for such an inspiring post. You do have a lot of experience in online businesses and know how the parts fit together. Thanks Helena! I love and appreciate your comment. So many mentors and coaches forget it’s about the client and not about them. Lord willing, I will never fall into that trap. Hi Charlie, I’ve enjoyed reading your posts. I know where I want to go, but can’t see past all the stuff that’s blocking my view. So it makes sense to ally with someone else who knows how best to proceed. I have very limited funds right now, so mentoring will have to wait until I can dig up some more loot. Anyway, I enjoy your posts, and will keep coming back. Thank you for your kind words. Here is an article that might help you clear up that jungle. Just a thought I had as I was watching. Great insight! I never thought of that but I can see where that would fit. Thank you for sharing. Thank you for your kind words. The key to succeeding online is helping people. If you can write, and are a motivational writer, you are in a perfect position to do that. Beging writing articles that help the people who are in your target market. Help them to be motivated, clarify their goals, feel less isolated. And ask then to join your list to get more helpful information. Write your sequences BEFORE you need them. Always dig the well before you are thirsty. You want a great email sequence ready from day 1 so you don’t have to do the same work repeatedly. Spend your budget carefully when it comes to driving traffic. If you know your avatar then reaching them should be easy and affordable. It is when we go too broad (trying to reach everyone online who wants to make money, for example) that we become confused and overspend. Charlie… I considered dozens of programs before I selected you and your systems to guide and assist me with my goals to have a successful and profitable online presence. This video is so informative and instills such confidence that I have made the right choice. I am devouring all of your materials. I appreciate you and want to say thank you. Thank you for your kind words. I look forward to our continuing collaboration.